Sorry folks, no meme's this round. But what I bring to this party is even better. 15% OFF ALL HOODIES IN MARKETPLACE !!!!!!! Zip up, Kangaroo style, you name it! If it falls under a hoodie, you can save yourself 15%!!!! "How do I save 15% off?" To save 15% off, all you have to do if add Promo Code: HD0917 (a link may pop up for it, click that if it shows up, if not just add the Promo code at the end). Timeframe: September 27 - 30...so act fast! You will have to go to Spreadshirt and create your item there. To search for our logos when creating your product, in the search area, type TAW (I label all our designs with it). So now is that perfect time to get yourself or a loved one a hoodie; as we enter fall, just after school started and just before christmas (perfect christmas gift and saves you from having to hit the mall later). Oh and yes, I know I said no memes, but they hijacked my keyboard and forced me to add them. Welcome all to the very first official Meet & Greet event for The Art of Warfare for 2017! The inspiration behind this event came from several occasions where TAW members had met up in real life to attend various conventions, and we in SOCOP thought, why not make it a recurring event! Now there are various ways in which we could plan out the meet-up, however with previous experiences attending conventions, we have opted for scheduled meeting times throughout the day, including a group lunch break in the food hall. Due to high volumes of people at the convention centre, and the differences in fandoms of every individual, we cannot travel as a large group, however these meeting points will be an excellent time for you to meet other members, socialise, and form small groups of similar interests so you can travel around together. Whether this is your first convention, home or abroad, or whether you’re a seasoned convention veteran, we recommend that you check out our preparation list before heading to the event. You can find this in the event schedule linked below. This is filled with recommended items you should bring, and important information referenced from the MCM Comic Con website. If you have any suggestions to add, feel free to email them to Arwith@taw.net so the list can be updated. The most important thing about this event is that we not only have fun, but we also remain safe throughout the day. This is a first for us, so we do expect a few unforeseen problems along the way, however we cannot be held accountable for any lack of planning prior to the event, however we will help out in such situations where we can. As a note of caution, all people under the 18 attending the convention must acquire written parental consent. You must bring this with you on the day. Please contact Arwith for a consent form if required. If you are planning on joining us, please join the Facebook Event. You can add other friends who will also be attending with you. Please make sure to sign up using this Form if you are attending. It will be great to see some new faces from TAW at such an amazing event! TAW Events Survey - We need your help!! 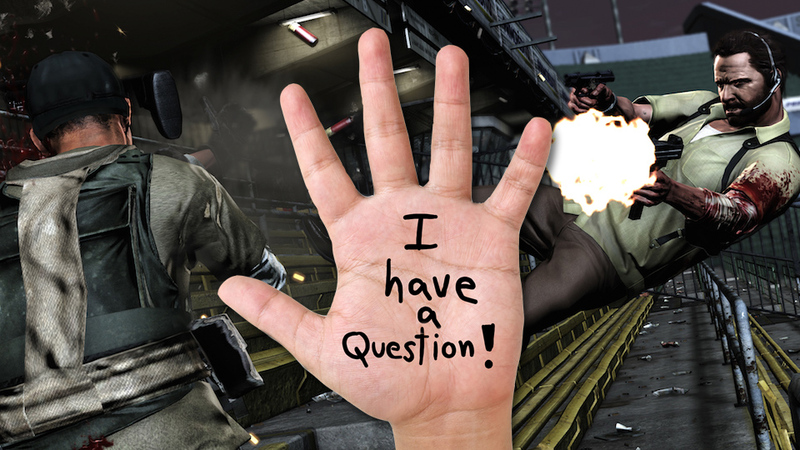 As the TAW gaming community continues to grow, so does our desire for social interactions! SOCOP has added a new branch to their unit - Events! The inspiration behind this comes from several occasions where TAW members had met up in real life and we in SOCOP thought, why not make recurring events! We would like to introduce three types of events that will take place throughout the year, are designed to further integrate new members into the community, the US and EU player base, and just act as a place for people to relax, make friends and have fun. As this is a new branch, we need your help to better determine how we implement them. Until the end of October, we would like to ask for 10-15 minutes of your time to fill out our Events Survey. We hope that you can give us your honest opinions and help to make these events a success. Thank you for your support and look forward to seeing some new faces from TAW! At the TAW Shop, the goal is to bring TAW members the best quality products while making them look fabulous. Have you ever wanted to feel like you were strutting down a catwalk? No matter which way, it comes down to having the right attire and accessories. And that's where the TAW Shop comes in. To help you find that right accessory or attire to looking absolutely fabulous and feel like you're on a catwalk. To be that person everyone wants to look like. I mean come on, not all gaming communities are as awesome as TAW. So our supplier is bringing us a promo that will last almost 2 weeks. YES, 2 weeks. From September 11th - September 27th, it will be 20% OFF ALL TOTE BAGS. Please Use Promo Code TB0917 . No Only that, but September 12th - 18th, we'll have another active promo, 15% off EVERYTHING!!!!! Please use Promo Code 150917. 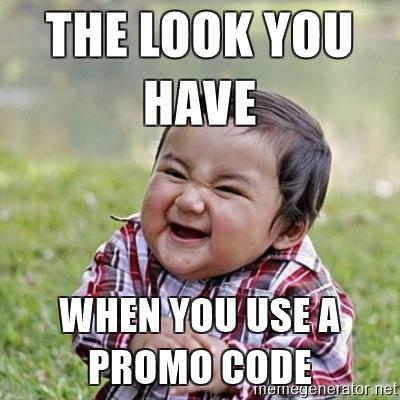 NOTE WHEN ADDING PROMO CODES: There's a pop up style link that shows up on the page generally, which states the promo. You need to click on that link. Should you have any issues regarding it, send me a message. 25% Off EVERYTHING!!!!!! Well Almost Everything. School starts for most students tomorrow. With a new year of school, means you need some new swag! September 5th - 7th sale can help you with that. 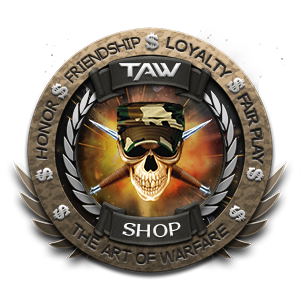 TAW Shop is proudly offering 25% off ALMOST everything in our shop. Sadly, the only thing that doesn't qualify is T-Shirts. To save 25 % off your purchases (except T-Shirts), please use code 250917. 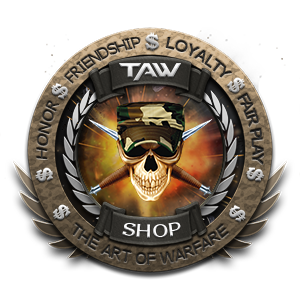 Remember to visit the Shop channel in TS and fill out the verification form after your purchase so I can issue you a Swagster Tab.